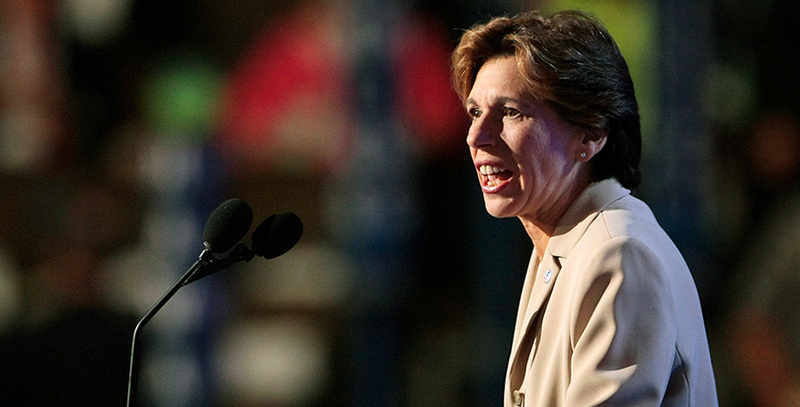 Randi Weingarten disapproves of charter schools. We all know that. But even those familiar with her disdain for reform were shocked last week by her willingness to exploit police violence against black and brown kids to advance a political agenda. I’m talking, of course, of her recent Daily News op-ed in which she compares distortions in the media over discipline policies at Success Academy in New York — where I am a proud board member — to the complete and utter abuse meted out in a public school in South Carolina by Officer Ben Fields on an unsuspecting female black student. Anyone who saw that brutal footage of Fields body-slamming a kid (or read The Seventy Four’s investigation into the lack of standardized training for school cops) knows there is something deeply wrong with public education in this country. But anyone who is black and is familiar with Success Academy knows that the comparison is deeply offensive in both what it says and from whom it came. Comparing what happened in that classroom to anything happening at Success Academy is an act of self-serving lunacy. Indeed, the comparison itself is so epically off point that being able to offer it without laughing out loud — or feeling complete shame — says less about the faulty comparison than it does about the broken moral and social compass of the person saying it. People see and interpret the world through lenses that are shaped by their own self-interest. Ms. Weingarten’s commentary is no different. And there are two big reasons why it doesn’t deserve the paper it’s printed on and why Ms. Weingarten herself no longer deserves a serious place in the discussion on how we level the playing field for kids of color. The first reason is simply this: Randi Weingarten isn’t black. She’ll never be stopped by the police for being the wrong color. She’ll never worry whether she’s sitting in the corner near the kitchen at a restaurant because of the color of her skin. She’ll never ponder if her child will be the victim of future-killing low expectations because they are not white. She’ll never question whether the mortgage she’s getting is a predatory one or a good one because she isn’t white. She’ll never be curious about whether a broker is zoning her out of a particular neighborhood without her knowing it. Only a person who disregards the very ease of the whiteness, wealth and power with which she drifts through the world could attack Success (where she does not represent the teachers and where the students are overwhelmingly black and brown) while ignoring the policing and disciplining of black kids in the public schools she herself represents — and where she and her members have created the problem. In doing this Ms. Weingarten demonstrates her faux-racial arrogance in a way only a true elitist can. She is a blind person arguing fervently about what the color blue is. She’s the “all lives matter” equivalent to the “black lives matter” movement; a distraction that we’d all be better off without while the adults work to sort out the real problems wrecking the futures of our children. Second, Ms. Weingarten is not a force for change, or a passionate actor speaking out on behalf of the voiceless. To the contrary, she is a chief architect of the current system of education, and de facto segregation, in America. She is a champion and co-conspirator in a system that routinely segregates our children by resources, skin color and opportunity. She’s an apologist for low-performing schools that end our children’s lives before they’ve even had a chance to live them. She’s a catalyst for the white-power driven opt-out push, allowing and supporting small groups of affluent white parents as they hold hostage the transparency our schools need to get better — schools overwhelmingly filled with the black and brown children she purports to defend. She’s an endorser of a system that tries to integrate schools but instead crumbles under white pressure. A system that tells black moms and dads that their children are clearly and implicitly worth less than white children are. There are a lot of things Ms. Weingarten isn’t, but there is one thing she most certainly is: a charlatan of rare skill. While the story of Success Academy is one of 11,000 overwhelmingly black and brown families who have islands of fast-expanding excellence in what were once oceans of failure and mediocrity, Ms. Weingarten instead wants to argue the problem is not her inefficacy but Success Academy’s existence. It also makes sense for Ms. Weingarten, a union leader, to blame Success CEO Eva Moskovitz for her own failings while head of the UFT. But morally and ethically, you can’t justify any of it. Not the destruction of the lifeline of quality education Success offers to thousands of families; not a wresting of the control that now resides in the hands of minority families back to the white-led UFT and other monopoly systems Ms. Weingarten now represents; and not the overblown rhetoric around school discipline she uses. A glass house built on shifting sand will both shatter and fall, just as poorly made arguments do when they collide with the truth. Ms. Weingarten has plenty of work to do in the schools she represents. Instead of attacking success, Success Academy, and its families, she should get to it.